This past summer, one of the projects undertaken by the Environmental Horticulture and Sustainable Agriculture interns was the planning and implementation of a permaculture garden at Ashland Middle School located about ten miles west of the college. The project was born from a partnership between the Ashland Middle School, the Wellesley College Office of Religious and Spiritual Life, and Kristina Jones’ spring semester horticulture class. In the fall of 2011, the Office of Religious and Spiritual Life undertook President Obama’s Interfaith and Community Service Campus Challenge, an initiative meant to bring people of different faiths together in community service. 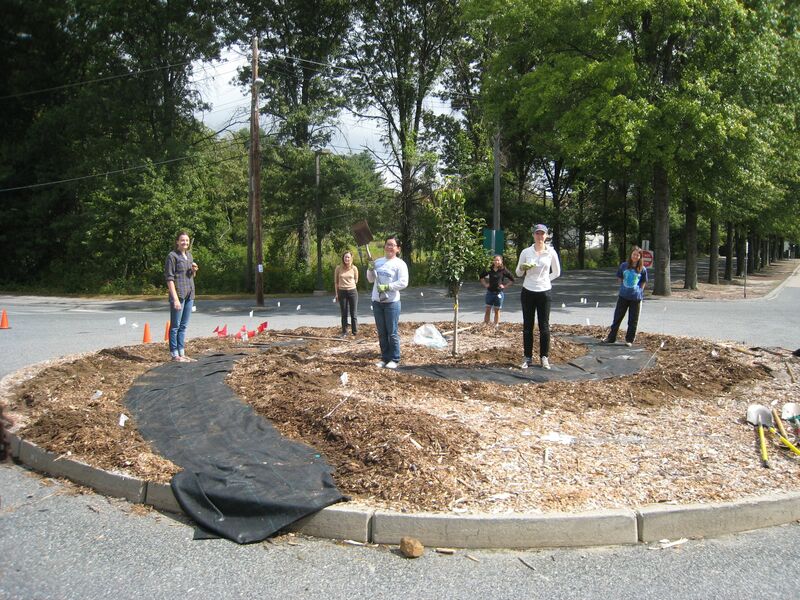 In their partnership with Ashland Middle School, one goal was to install a permaculture garden in the middle of a large traffic circle (roughly 37’ in diameter) where only patchy grass was growing. Kristina’s horticulture class contributed their expertise in permaculture gardening. Why a permaculture garden? Low maintenance, a facet of permaculture design, was especially important for the traffic circle. Also, the philosophy of permaculture aligned well with the mission of the Interfaith and Community Service Campus Challenge. Permaculture relies on a diversity of plant types and favors intentional cooperation over competition. While biologically sound principles, these values are useful for middle school students as well. 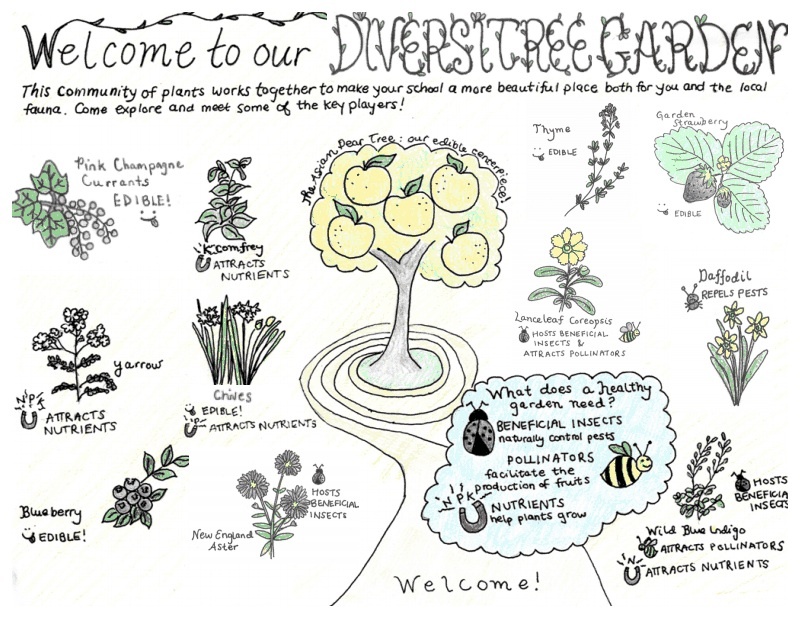 The name “Diversitree” was chosen for the site, embodying both biological properties and philosophical ones.